Do you remember when Verizon Wireless had the best signal anywhere in the US? There was a time when Verizon was the only choice if you wanted a strong signal anywhere in the U.S. I remember conferences where my Verizon HotSpot provided a connection in the lowest hotel conference room while my friends struggled to access a WiFi connection provided by the conference sponsor. Early in 2016, I started to notice the change. They told me that things slowed as more people switched to Verizon. It didn't help that everyone started using their phones to stream video and other high bandwidth uses. It's not unusual to see someone watching Netflix or video chatting on their phone. The bottom line; Verizon hasn't been able to keep their "Can you hear me now?" crown. I definitely noticed the change when I moved last year. It was only 7-8 blocks away but phone conversations this year started to be impossible. Instead of a clear voice, I would hear a noise similar to Charlie Brown's teacher. For the technical types, apps like OpenSignal, Network Cell Info or my own Mobile Network settings would report a signal would vary between -110 to -128 dBm. It meant "zero bars" trying to use 4G. I finally reached the right person with Verizon who acknowledged they could see how bad it was. I was in what they claimed to be a dead zone. They told me I could change to a new carrier without having to pay a penalty for breaking my contract. After some research, I am convinced the future is with T-Mobile. It turned out to be a perfect solution for me. T-Mobile currently has a plan for anyone 55+. Two unlimited phone lines for $60 including all your taxes and local fees. We could bring our own phones. This was a plus because the price for phones these days is criminal. T-mobile is paying off the $200+ I still owe for my Samsung S7 Edge. They told me they would cover any other bills I might have up to $650. They're offering me $50 to any friends I recommend to switch. I don't consider this a five-star review but if you do plan to switch send your name and cell number to BillP@aol.com. And Best of All... I now have 4-5 bars of 4G signal! The typical signal inside my home now averages -90 dBm. I can now use my phone when I'm home. Update: For me, having a working phone at home is critical. Now that I'm old and disabled I don't get out that much. 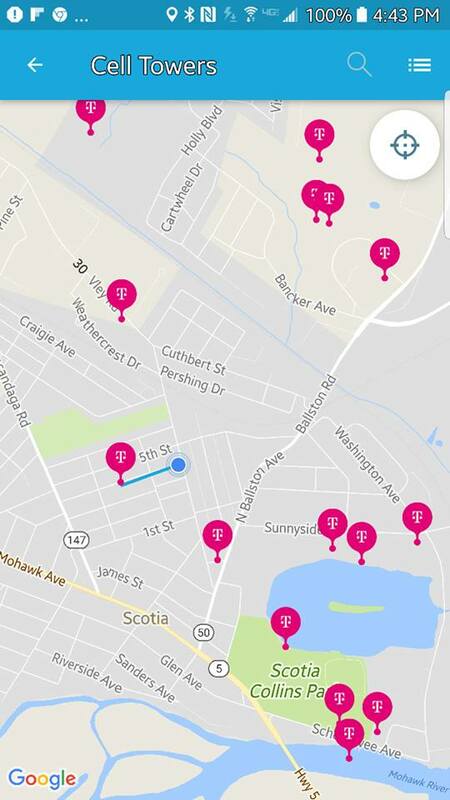 I have been testing T-Mobile when I can and I'll admit not everyone will have the same results with their location. I have found T-Mobile has more local towers reported by their users but signal strength can vary. As I drive around, the app "Open Signal" tells me the signal strength and shows which tower I am using. Since "Open Signal" provides user-generated data I can recommend the program to test your location before you change. Keep in mind it won't matter how close a cell tower is. Cell signals are usually directional meaning they focus the signal in a particular direction. They are typically uni-directional or bi-directional. Most people think of a cell tower as omnidirectional. The directional antennae will be strong for a 45 to 90-degree path. The advantage of a uni-directional signal is it will be much stronger than an Omni-directional antenna. In an ideal situation, Cell companies configuration their towers so each of their uni-directional signals are broadcast so that signals overlap with other towers. When this plan works they can provide a strong signal that will allow users to travel from one tower to another without a problem. This overlapping, directional signal can be proven mathematically to be the most efficient but when it's overburdened many dead spots will exist. While I am very disappointed with Verizon, I suggest you find someone in your area that uses the service you're considering. Invite them over and see what kind of signal they get at your house. Anyone who has paid attention to my posts this year will have noticed two new topics. I won't be the only one you’ll hear sounding this year's Lyme alarm. The medical establishment continues to debate the proper diagnosis and treatment of Lyme Disease. They all agree more cases are being reported but no organization has been keeping track of the exact number. I may occasionally rant how long my “chronic CNS Lyme” was missed over years of various hospitalizations. After weeks of daily intravenous antibiotics my symptoms definitely improved but after six months and the loss of over 40 lbs. my doctors are now ready to document my current condition. The majority of folks who learn of my condition want to share their favorite tick removal method and tell me how Lyme disease must make my joints sore and I must have been given antibiotics. The CNS prefix in my diagnosis refers to "Central Nervous System" which thankfully only infect a small number Lyme cases. For me it meant early retirement. Alexa devices have become the leader in services provided by its "Voice User Interface" design. I invested in my first Alexa device, the Amazon Tap, in June 2016. I discovered the music library available to Amazon Prime members was huge and the sound quality of the Tap is outstanding. It didn’t take long before Amazon had a big sale day for prime users(July 12, 2016) and I upgraded to an Amazon Echo with its seven microphone array. I was convinced that Alexa was a winner and Amazon had put together a solid development team. The guarantee for a future was Amazon’s efforts to attract a large number of 3rd party developers and create partnerships with both software and hardware developers. In February 2017, I noticed I my "Tap" had a firmware update. It wasn't a security update it wasn’t just a bug fix, it was a brand new valuable feature. Just like my Echo I could now set my Tap to be hands-free activated. I now keep my Tap in the kitchen and still use it to play one of the many Playlists from Prime Music. I depend on Alexa to let me set timers when cooking or to remind me to check my laundry. Both ideal tasks for a voice user interface. For someone disabled because of a nervous system disorder like mine, Alexa would be a must-have accessibility device yet there is something for everyone. Last month I was surprised by a new firmware update when I noticed the color of the Echo's circle turned Green. So, naturally I asked Alexa what the green light was for and she told me I had a message. I learned that I could now use my Echo to call or send a voice messages to anyone with a supported Alexa device including the Alexa app on the Apple iPhone or Android phones. Not only does it provide free voice messaging, I don't have to lift a finger to create a conversation. Just like a timer, this is a feature that makes living with Lyme disease just a little bit easier. Many times, if I don't have a chance to send a message immediately, I'll lose track of what I had planned to share. I’ve seen a number of computing platforms come and go. Usually, the key to success is having what I call a “killer app.” The Alexa platform and the voice interface model developed by Amazon has already provided many killer apps* with plenty of imagination left for more. I’ve been asked to compare Alexa to the Google Home Assistant and the new Apple HomePod without starting a brand war. I consider other voice assistants as apps, where are Alexa is a platform. or see how Alexa has been adopted by "The Seeing Eye" Guide Dog school in Morristown, NJ. Over ten years ago I started to share my thoughts and advice here at Bits From Bill. At the time I focused on new technology and what folks could do to make using a personal computer safe and efficient. Blogs may not be popular anymore but the support I've had here has encouraged me to keep in touch. As many of you know I've battled with health issues in recent years. The struggle had an impact on my work including the time I was able to devote to this blog. I'm hoping to reboot sharing what my brain finds valuable and will write about topics I hope you'll find worthy. "... the first tech toy... I use every day...."
"... a lot of loT devices to be Alexa compatible." Naturally, as a Blue Hat hacker, I will still be paying attention to tricks used to steal passwords and personal info. I'm surprised at the attention given to Wikileaks for disclosing details of tools we've been talking about for years. I'll share my research into security flaws in Windows Universal and devices using the "Internet of Things"(IoT). Don't be surprised if I promote loT devices to be Alexa compatible. "Central Nervous System Lyme Disease"
in medicine. In 1980, I wrote a paper predicting how computers would be used in the future of health care. I may share more personal details of my own experience. I'm in the process of being a survivor of chronic Central Nervous System Lyme Disease. 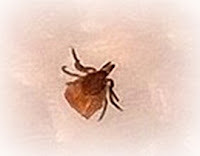 Only 10-15% of those infected by a Lyme infected tick are of the CNS type. Mine was finally confirmed following a spinal tap ordered by my hero, Dr. David Rockwell. The time it takes me to write isn't what it used to be but it's healthy for me and I'll save the best bits for you. As an Independent Developer I've experienced a couple common problems with growing old and planning for retirement. The first is a challenge for anyone who works for themselves. When you have an occupation without a pension or shared retirement plan you really need to put something aside for retirement. I reinvested most profits back into the business which mostly went to health benefits. Makes me wonder if adding 3rd party toolbars would have been the best long term business decision. Another more unique challenge is how to complete a product cycle. Over the years I've developed special relationships with many of my customers. How do you notify a large user base that you no longer support a program because you want to retire? In the case of my flagship WinPatrol product I found Bret Lowry. A young ambitious and experienced security expert Bret has an understanding and respect for his customers. Bret is now the face of WinPatrol and owns all its code, graphics and reputation. Many WinPatrol fans have been using it for over 10 years so it was important to meet everyone's needs. Bret has combined the best of WinPatrol technology with his own experience to create new solutions ready to battle with new security threats. Over the last couple years, I've updated an old favorite called Task Catcher. I also created a service to let folks know what personal data has been compromised and how. Customers found the "BlueHat" service to be curious but most who took advantage of this service were already educated on best practices for personal security. As more attacks were acknowledged by large and small corporations it became increasingly difficult and costly to keep up. It also put me in contact with too many untrustworthy groups who were stealing personal information. I've had many ideas for the future but continued health issues have made me realize I won't be able to make the commitment required of an Independent Developer. 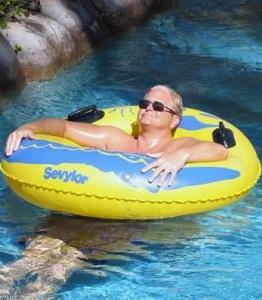 As such, I'm taking this opportunity to officially announce my retirement. I've had an amazing experience working in the personal computer; online service; PC gaming; Interactive TV, Security industry and more. My brain will continue to think, "How can this be better?" as I use my laptop, phone and other programmable devices. Education is still important to me from sharing good computer stories to serving on the board of our local school district. To my friends who have made donations during my toughest time of medical treatments, I will forever be grateful and will forward your kindness on to others. If I do create any programs that might be useful I'll be making them available for free. I will also continue to live up to the honor of receiving the Microsoft “Most Valuable Professional” awards. I hope to have more time to help answer questions online, write useful Bits from Bill leaks and continue speaking engagements when possible.